Without qualified officials, galas would not run and your swimmer would not be able to compete. We need parents of swimmers to offer their services to be trained as ASA (British Swimming) Officials. You are offering help to assist your swimmer and other swimmers in the club achieve their potential by being able to compete at all levels. As with any sport, volunteers are the lifeblood of our organisation. The training is provided locally and once qualified, you get a poolside view of the action, free refreshments (often including lunch), maybe a seat, maybe even a t-shirt or water bottle but most of all a sense of wellbeing for giving something back to the sport, the club and your swimmer! The minimum recommended age for candidates to undertake this training is 14 years, and all need to be registered members of a British Swimming affiliated club or a member of the Institute of Swimming (IoS). This is the first level of British qualification. It encompasses the role and duties of a Timekeeper, Chief Timekeeper and Inspector of Turns. The minimum age to start training is 15 years. Candidates will be required to undertake some formal theory instruction and gain practical experience working on the poolside with a mentor. A course workbook is provided for completion after which there will be a practical assessment. During the practical assessment candidates will be required to answer questions orally. Upon qualification candidates will be attributed with the qualification Judge Level 1 on the British Swimming Database and will be encouraged to become a Licensed Official. This is the second level of qualification. It encompasses the role and duties in relation to all aspects of judging and the theoretical role and duties of Starter. The minimum age to start training is 16 years and candidates must have already qualified as Judge Level 1. The training follws a similar format to that of Judge level 1 with formal instruction, mentored pool side training with workbook followed by a practical assessment. When qualified, candidates will be attributed with the qualification Judge Level 2 on the British Swimming Database. The minimum age for training is 19yrs providing the candidate is aged 20yrs as at 30th November in the year of the theory examination. In addition candidates must have proven poolside experience at Judge Level 1 and Judge Level 2 and must also have been qualified as Judge Level 2S for at least 1 year with a minimum of 10 hours post qualification experience in that role at the time of application. This course contains theoretical instruction and specified practical experiences. 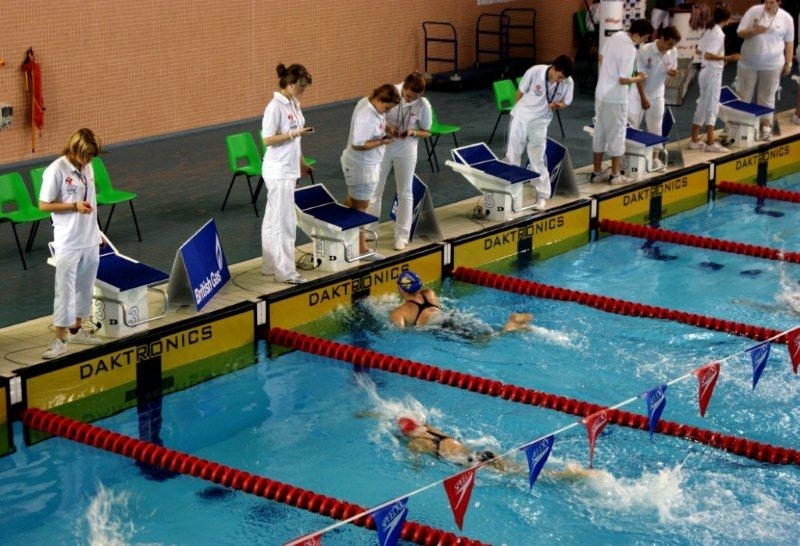 It is followed by a formal examination in November after which successful candidates take a final poolside practical assessment leading to qualification as a British Swimming Referee. Several months have been allocated between registration and the formal examination to enable candidates to undertake all the practical experience required to complete the course as well as the theoretical instruction. If you interested in becoming an Official please Contact Us, or the Officials Co-ordinator (Felicity Govan), Coach Ally Brewer, or any of our officials.